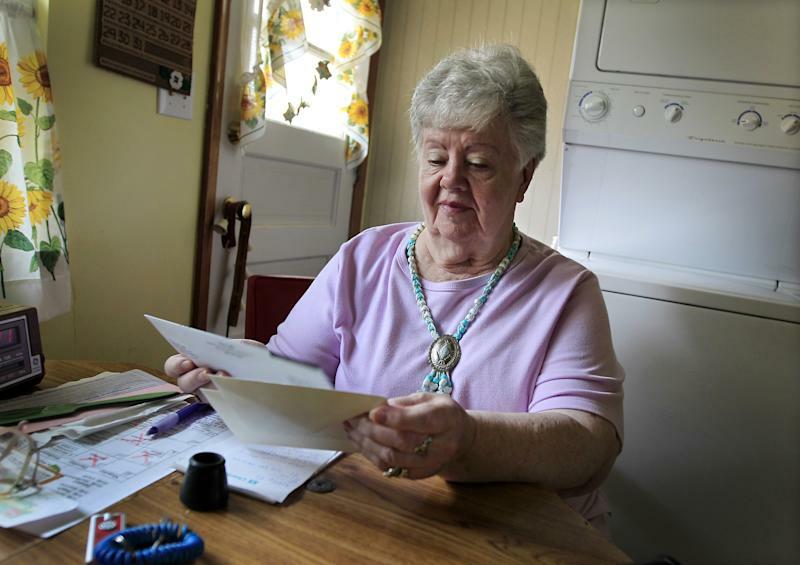 WASHINGTON (AP) -- People retiring today are part of the first generation of workers who have paid more in Social Security taxes during their careers than they will receive in benefits after they retire. It's a historic shift that will only get worse for future retirees, according to an analysis by The Associated Press. Previous generations got a much better bargain, mainly because payroll taxes were very low when Social Security was enacted in the 1930s and remained so for decades. "For the early generations, it was an incredibly good deal," said Andrew Biggs, a former deputy Social Security commissioner who is now a scholar at the American Enterprise Institute. "The government gave you free money and getting free money is popular." If you retired in 1960, you could expect to get back seven times more in benefits than you paid in Social Security taxes, and more if you were a low-income worker, as long you made it to age 78 for men and 81 for women. As recently as 1985, workers at every income level could retire and expect to get more in benefits than they paid in Social Security taxes, though they didn't do quite as well as their parents and grandparents. A married couple retiring last year after both spouses earned average lifetime wages paid about $598,000 in Social Security taxes during their careers. They can expect to collect about $556,000 in benefits, if the man lives to 82 and the woman lives to 85, according to a 2011 study by the Urban Institute, a Washington think tank. Social Security benefits are progressive, so most low-income workers retiring today still will get slightly more in benefits than they paid in taxes. Most high-income workers started getting less in benefits than they paid in taxes in the 1990s, according to data from the Social Security Administration. The shift among middle-income workers is happening just as millions of baby boomers are reaching retirement, leaving relatively fewer workers behind to pay into the system. It's coming at a critical time for Social Security, the federal government's largest program. The trustees who oversee Social Security say its funds, which have been built up over the past 30 years with surplus payroll taxes, will run dry in 2033 unless Congress acts. At that point, payroll taxes would provide enough revenue each year to pay about 75 percent of benefits. To cover the shortfall, future retirees probably will have to pay higher taxes while they are working, accept lower benefits after they retire, or some combination of both. "Future generations are going to do worse because either they are going to get fewer benefits or they are going to pay higher taxes," said Eugene Steuerle, a former Treasury official who has studied the issue as a fellow at the Urban Institute. How can you get a better return on your Social Security taxes? Live longer. Benefit estimates are based on life expectancy. For those turning 65 this year, Social Security expects women to live 20 more years and men to live 17.8 more. But returns alone don't fully explain the value of Social Security, which has features that aren't available in typical private-sector retirement plans, said David Certner, legislative policy director for AARP. Spouses can get benefits even if they never earned wages. Children can get benefits if they have a working parent who dies. People who are too disabled to work can get benefits for life. Because of spousal benefits, most married couples with only one wage earner will continue to get more in benefits than they pay in taxes for the foreseeable future. "You are buying this lifetime inflation-protected benefit that you can never run out of and that will always be there for you," Certner said. "It protects your spouse, protects your family and protects you from disability." Certner noted that private pensions, retirement savings and home values took a big hit when the economy collapsed, putting a dent in the retirement plans of many Americans. "When you have that combination of factors, Social Security becomes more and more important," Certner said. Social Security is financed by a 12.4 percent tax on wages. Workers pay half and their employers pay the other half. Self-employed workers pay the full 12.4 percent. The tax is applied to the first $110,100 of a worker's wages, a level that increases each year with inflation. For 2011 and 2012, the tax rate for employees was reduced to 4.2 percent, but is scheduled to return to 6.2 percent in January. The payroll tax rate was only 2 percent in 1937, the first year Social Security taxes were levied. It did not surpass 6 percent until 1962. Even with low tax rates, Social Security could afford to pay benefits in the early years because there were more workers paying the tax for each person receiving benefits than there are today. In 1960, there were 4.9 workers paying Social Security taxes for each person getting benefits. Today, there are about 2.8 workers for each beneficiary, a ratio that will drop to 1.9 workers by 2035, according to projections by the Congressional Budget Office. About 56 million people now collect Social Security benefits, and that number is projected to grow to 91 million in 2035. Monthly benefits average $1,235 for retired workers and $1,111 for disabled workers. Social Security provides most older Americans a majority of their income. About one-quarter of married couples and just under half of single retirees rely on Social Security for 90 percent or more of their income, according to the Social Security Administration. "Social Security is what's carrying me," said Neta Homier, a 79-year-old retired hospital worker from Toledo, Ohio. "There's no way I would have made it without it. The kids, they're on their own, now, and I'm not going to be a burden for them. That's what it would have been if I hadn't had Social Security." Homier said she started receiving Social Security when she was 63 and now gets about $800 a month, after her Medicare premiums are deducted. She said her father died at 51, so he never received Social Security, and her mother died at 71 and collected benefits for only a few years. "It's definitely worth it," she said. At 52, Anthony Riley of Columbus, Ohio, has a different perspective. Riley said he has a private retirement account because he worries that Social Security won't provide adequate benefits throughout his retirement. "I use to think that it was worth paying for your Social Security, but now I don't think so," Riley said. At 22, Mackenzie Millan of Los Angeles has even greater doubts about whether Social Security will be a good deal for her. "The money that I put aside now, it's not like that money is going to be waiting for me. That money is going toward someone else," the recent college graduate said. "If I wanted Social Security 50 years from now, when I wanted to retire, I would have to hope that someone else is still working and putting money aside in their paychecks to pay for my Social Security at that point." Associated Press writer Andres Gonzalez contributed to this report.